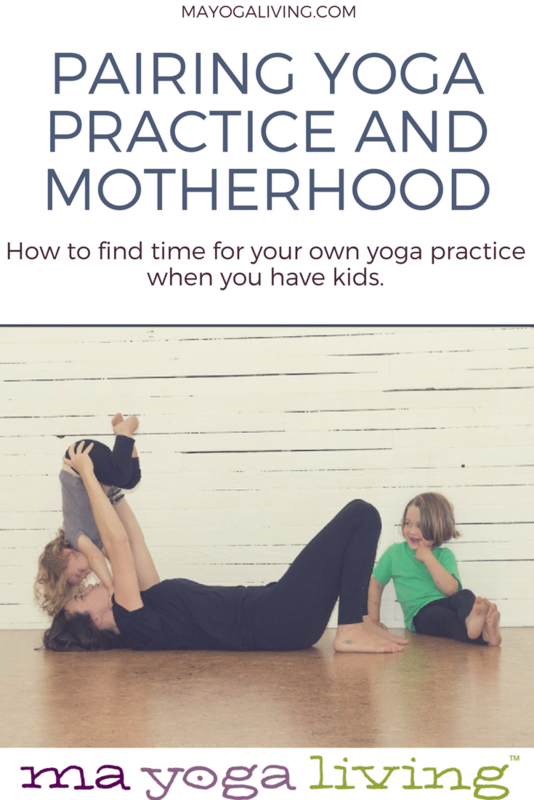 As a mama of two littles, it is HARD to find time for my own yoga practice. While it is still a dream to make it to a studio and take a full yoga class with no children in tow, it does occasionally happen but doesn’t do much for me day-to-day. Enter my rogue yoga practice that takes it out of the studio, and really off the mat, but allows me to stay grounded and (a bit) sane. In the beginning, my yoga practice looked like tree pose while brushing my teeth, followed by 10-30 seconds of intentional deep breathes, down dogs and planks while rough-housing with the crawling baby,  mindfully standing in tadasana while doing the dishes. While this might not sound like enough, having a few “stations” around my house where I would mindfully engage my body with yogic principals helped me immensely. I would try at the end of the day to just close by eyes and meditate on the word ‘gratitude’ for 30 seconds before collapsing. These were little moving anchors to my sanity. As my babies grow, become mobile and interactive, I try harder to sequence together larger chunks of time for my daily yoga practice. Sometimes, this is actually rolling out the mat for 10 minutes while the toddler snacks or it might mean putting the yoga pants I’m already wearing to use while I’m at a park. Quick park yoga helps me connect with simple pleasures like the texture of sand or grass, and truly feeling the sun or wind. There is an opportunity in almost every situation to be mindful, present, and connect with your breath. I started adding deep breathing to part of the bedtime routine. Between potty and pajamas and storytime, we sit together and breathe. Some nights its silly and we practice our “lions” breath or blow out birthday candles, and some nights it’s quiet and calming. When I let go of the idea of having the perfect circumstances for yoga and came back to why I practice yoga, I was able to connect with myself as a mama in a deeper way. Motherhood throws us a million curveballs a day, but finding tiny ways to incorporate yoga (and self-care) with your babies is crucial. For help getting back into your yoga practice, or starting your own home practice, try being a Ma Yoga Mama for 2 weeks for only $1. 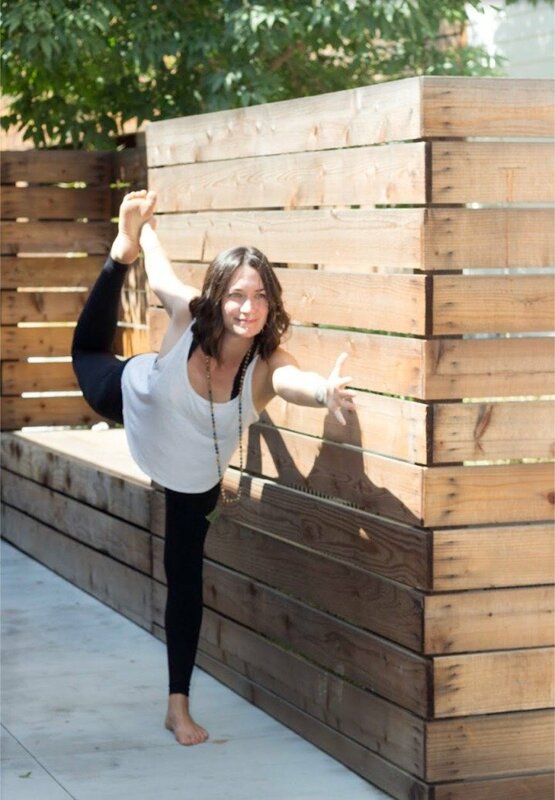 Elizabeth Clark is a Ma Yoga® instructor and doula in Long Beach, California. 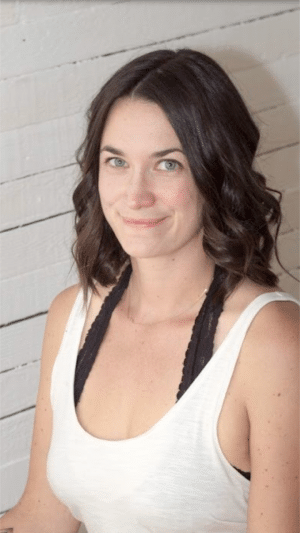 She is passionate about sharing yoga with everyone, especially with new mamas. She applies her personal and professional background to help women embrace motherhood on and off the mat.